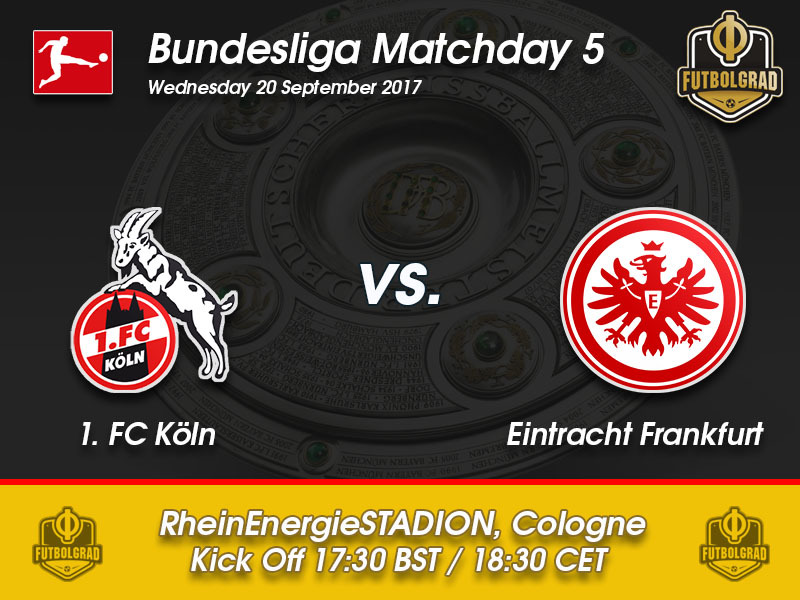 Köln vs Eintracht Frankfurt – Wednesday 20th September 17:30 BT/18:30 CET RheinEnergieStadion – Cologne, Germany. This week the Bundesliga has what they call in Germany an ‘English Week’ meaning that they play midweek games and for some clubs moving quickly on to the next match will come as a good thing. Two of those clubs are 1.FC Köln and Eintracht Frankfurt. Both lost on the weekend, Köln were crushed 5-0 by Dortmund, and Eintracht Frankfurt lost to FC Augsburg. They now face each other hoping to gain maximum points and relieve, if only briefly, of some mounting pressure. Der Effzeh has experienced a start much worse than they could have imagined with four consecutive defeats, conceding 12 goals and scoring only once. Köln head coach Peter Stöger will be happy that his employers are more reasonable than that of other clubs. Köln’s sporting director Jörg Schmadtke is a big supporter of the Austrian and a coaching change is therefore extremely unlikely on the Rhine. Köln will argue that they were hard done by the refereeing team, who gave a goal to Borussia Dortmund that in retrospect should not have stood. Stöger will have to answer some tough questions, however. His team was easily carved open by a strong Borussia Dortmund side, who scored within two minutes and the 5-0 scoreline was reflective of Köln’s performance that evening with or without the VAR mishap. It has been a challenging start to the campaign for Köln, who are balancing Europa League duties with weekend Bundesliga matches. Last season Eintracht Frankfurt surprised most by storming up to second in the table before a disastrous Rückrunde saw them drop out of the European spots and finish 11th. This season has seen Die Adler strong on the road with a draw away to Freiburg and victory over Gladbach, but home defeats to Wolfsburg and Augsburg have been a cause for some concern in der Mainmetropole. Some suggested the Rückrunde capitulation last season was due to the absence of key man, Marco Fabian, and unfortunately, they will have to play without him again until after the winter break. New man Kevin-Prince Boateng has been a positive new addition, but goals are the problem. Boateng has contributed to 50% of them in scoring one. Frenchman, Sebastien Haller, who was brought in from FC Utrecht where he scored 15 goals has not scored a single goal for Frankfurt. The Leipzig born midfielder seems to have been around for a lot longer than his age, 23, would suggest. After a spell at BVB during the Klopp era, it appears he’s followed suit with the busy, hard-working ethos that he engrains on his players. Bittencourt was one of the few players that had a positive performance against Arsenal and BVB on Wednesday and Sunday respectively. Bittencourt contributed to five assists last season, and with his current form, this could be the game for him to get his first in the league this season. 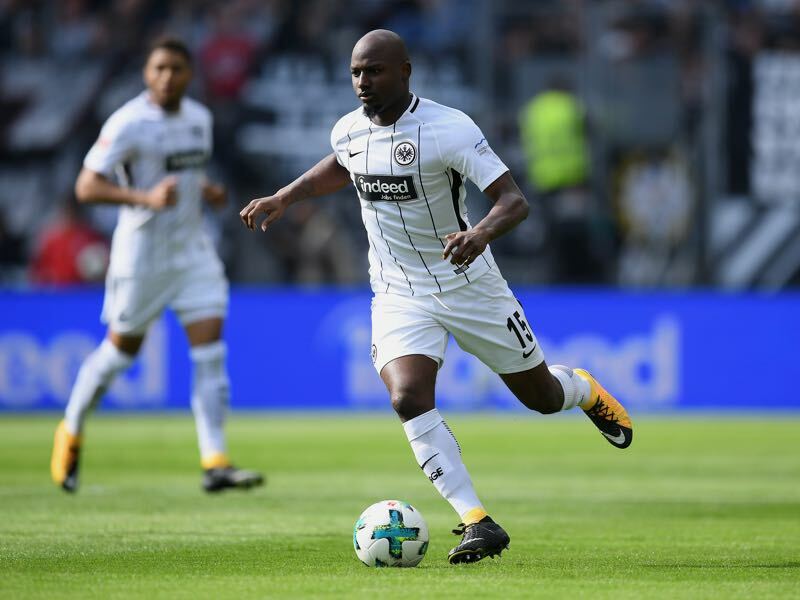 Kevin-Prince Boateng always can pull something special out of the bag so do not be surprised if he scores with a clever piece of trickery, but it is Jetro Willems start to the season that has Eintracht fans excited. Defensively he has won more duels but also has the highest success in accurate crosses, key passes and dribbles. If a goal is to be scored, it might be due to this man on the left wing. 1.FC Köln are currently bottom of the Bundesliga with no points. Eintracht Frankfurt are yet to win at home but have four points from a possible six on the road. Last season both sides won this fixture’s home tie 1-0. 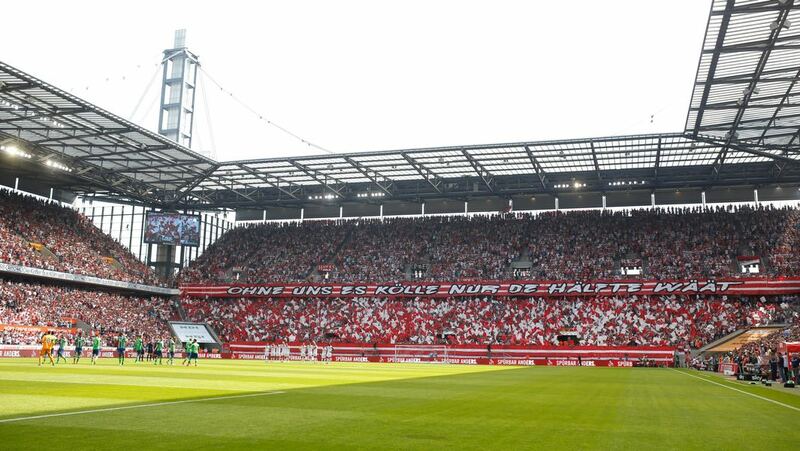 Eintracht Frankfurt have not won any of the last nine visits to the RhineEnergieStadion. In coach head-two-heads, Stöger has one win and Kovac three wins.